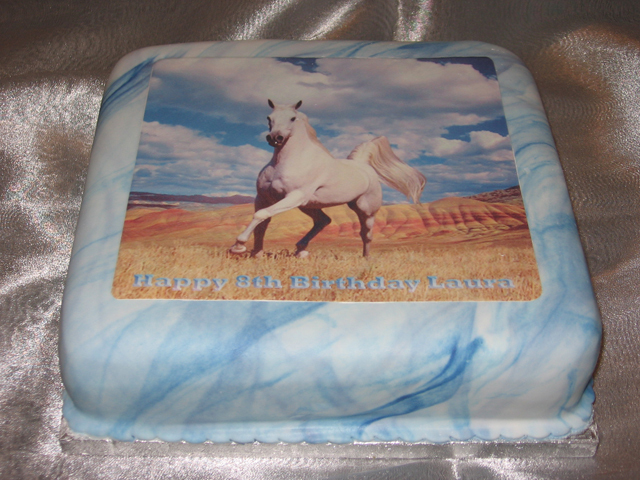 It is always more satisfying to bake your own cake and use one of our caketoppers to produce a fantastic looking homemade cake. Well, a lot more satisfying than buying a cheaply made tiny cake from a supermarket or paying more than £50 for a cake shop to make your custom cake. 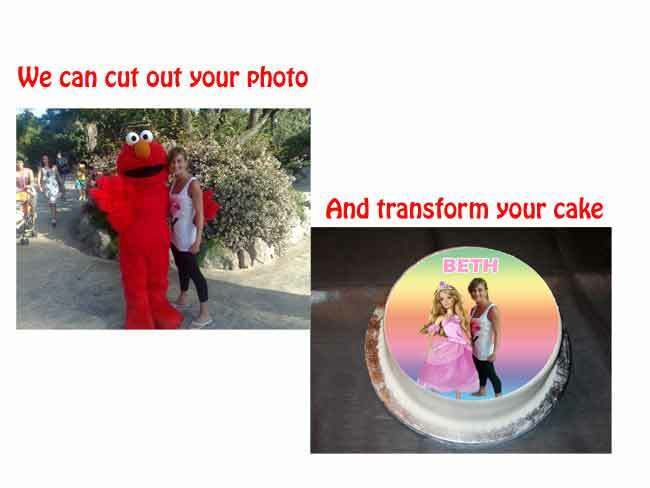 Our cake toppers will make you feel really proud that you made a fantastic looking cake yourself. This will make enough batter for a 12" square pan (or any rectangular pan that adds up to similar dimensions). You can either bake in 2 halves, to reduce baking time and help stop cracking and the cake crowning, or you can bake all at once. I'm lazy and always bake all in one go, then slice in half when it's been left to rest. Prepare and line your cake pan. 1lb Butter or margarine (I use half of each). Finally.. Warm water added to mixture to get a dropping consistency. Bake at 160 degrees c until sponge springs back and a cocktail stick comes out clean. I cover the top of the cake with silicone paper, part way through the baking. It stops it browning too early and so helps stop cracking. This is basically a Victoria sponge recipe with plain flour added (up to 50 percent extra flour). The extra flour makes the sponge firmer, which helps when you need to cut it and sandwich it back together! Because it's a little denser it also keeps well if stored correctly (up to a week, if it lasts that long :-) ). When I remove from the oven I always press the crown back down, while it's still hot (I use a clean tea towel). Once it's cold and it's been allowed to rest you can cut any remaining crown away to level it. Then turn it over, so the bottom becomes the top of the cake. Slice the cake in half, then sandwich it back together with raspberry seedless jam and butter cream. Cover the entire cake with butter cream and decorate with rolled fondant icing. Good luck with the cake. An ideal cake for birthdays, this is a super recipe for an easy, chocolate cake. It’s moist and fudgy and will keep well for approx 4-5 days.